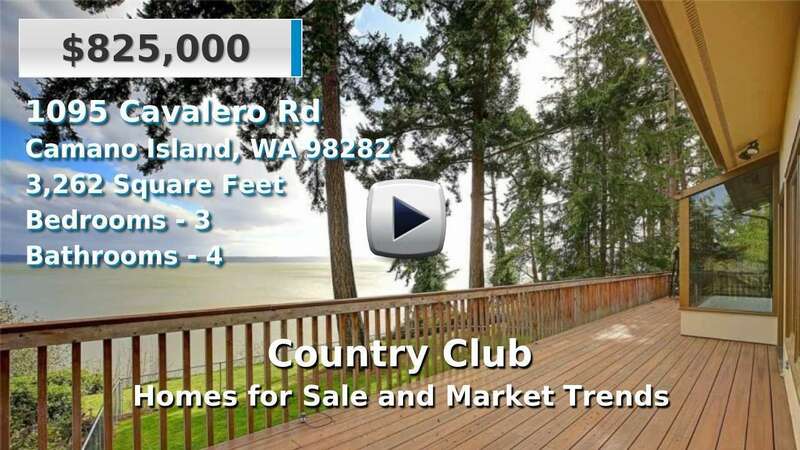 The Country Club area consists of several residential divisions on Camano Island's eastside. Homeowners enjoy access to private community beaches and clubhouse with fitness classes and events. Homes for sale here often overlook Port Susan and Mount Baker in the background. Nearby, Elger Bay Preserve Trail has several miles of looping paths with interpretive nature signs; even more recreation, such as camping and fishing, can be found at Cama Beach State Park and Camano Island State Park. Country Club is also home to Elger Bay Elementary of the Stanwood-Camano School District. 3 Beds | 2.5 Baths | 2760 sq. Ft.
Blue Summit Realty has the most accurate and up to date Country Club real estate listings on the web. Currently there are 2 homes for sale, and 15 vacant land properties in Country Club. Of the 17 total Country Club residential listings for sale 0 are bank owned, 0 are short sales, 0 are new construction, and 0 are townhomes. The price ranges from $260,000 to $0 with a median list price of $387,450 and median sold price of $384,143. Make sure to refine your Country Club real estate search by property type, price, square footage, bedrooms, bathrooms and more with the search tool above or view the Country Club listings on our interactive map. Our Country Club real estate listings were updated 30 minutes ago.